Tesla and Mercedes-Benz have a history together. In May of 2009, Mercedes bought a 9% stake in the fledgling Tesla Motors for $50 million. Two months later, it transferred 40% of its Tesla shares to the investment arm of the government of Abu Dhabi, according to CCN.com. Tesla provided battery and electric propulsion technology to Mercedes for its early electric Smart as well as electrified versions of its A Class and B Class cars. In 2014, Mercedes severed its relationship with Tesla and sold the remainder of its shares to an undisclosed buyer for $780 million. No one can ever say definitively whether the investment by Mercedes in 2009 was the difference between Tesla surviving or not, but it certainly came at a crucial time for the Silicon Valley startup. Since then, Tesla has gone on to accomplish things in the world of electric cars that few outside of Elon Musk and his closest associates ever thought possible. Among other things, it has knocked the mighty Mercedes S-Class off its perch as the best selling large luxury car in the US and in Germany, something that must make Dieter Zetsche and the Daimler board of directors wince every month when the sales numbers are released. Mercedes has just spent $500 million to expand its factory in South Carolina to build more Sprinter vans and has snagged an order for 20,000 of them from Amazon. The Sprinter is available in a dizzying array of chassis lengths, roof heights, powertrain options, and interior fitments in order to meet the requirements of delivery companies and tradespeople. In all, some 1,700 combinations are possible. Many of those vans are powered by diesel engines. As much as Tesla is doing to electrify the private passenger car segment of the transportation sector, medium- and light-duty trucks are responsible for more emissions over the course of a year than passenger cars. Electrifying the Sprinter vans is already underway, but a link up with Tesla could accelerate that process. 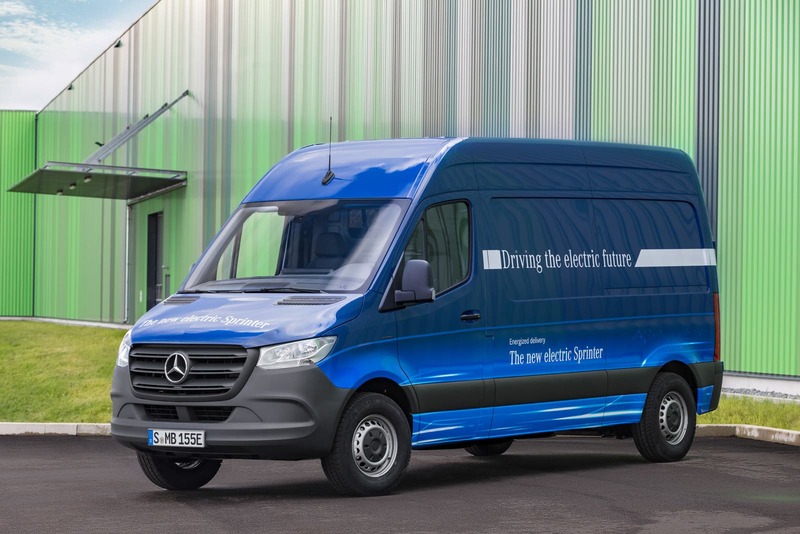 Zetsche also said Tesla might be interested in using electric Sprinter vans for its on the road service vehicles. Does a collaboration between Tesla and Mercedes hint at other collaborations down the road? For instance, instead of designing and building its own pickup truck, might Tesla be able to push its goal of getting people out of trucks with gasoline and diesel engines faster by working with an established manufacturer that has factories already configured to build such vehicles in massive quantities? Volkswagen and Ford are already planning to work together on developing pickup trucks and electric powertrain technology. Waymo is seeking a linkup with the Renault-Nissan-Mitsubishi Alliance for self-driving taxis in Japan (if the Alliance survives). There is a definite movement toward convergence in the world of automobile manufacturing. If Tesla is truly committed to weaning the world off of fossil fuels, it might be able to accomplish that goal more quickly by working with others than by charting its own course for building every type of vehicle under the sun. On the other hand, Tesla could wind up being the sole surviving global manufacturer once all the consolidations and mergers take place. Time will tell.